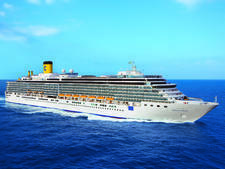 More than any of its other brands, Carnival Corp.'s Costa Crociere, acquired in 2001, has taken the mantle of its big sister Carnival Cruise Lines and has parlayed it into "Cruising Italian Style" with savvy flair. 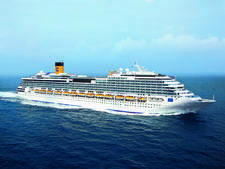 Upon boarding Costa Magica, which debuted in November of 2004, there's no question that you have just entered the whimsical world of Joe Farcus (Carnival's longtime interior architect and designer) ... with an Italian accent. 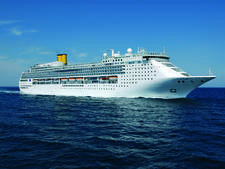 Costa Magica is enormous, especially for Europe, at 105,000 tons and carrying 2,720 passengers. 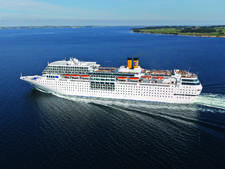 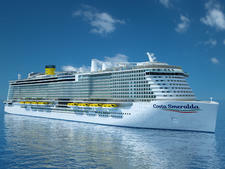 (But it isn't the first: Its sister Costa Fortuna debuted in 2003 to equal success.) 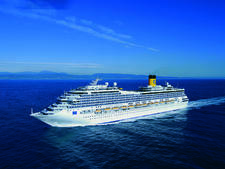 And on Costa Magica, "Cruising Italian Style" takes on new meaning since the interior theme of the ship is Italian holiday spots. 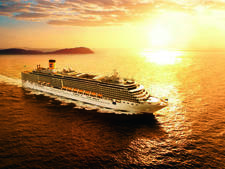 Blown-up posters (manipulated by computer to look like Impressionist-era paintings) of destinations as diverse as Portofino and the Italian Alps line the walls and center the Italia Magica Atrium theme; the public rooms are also named for these places. 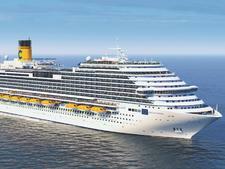 So this is most definitely a ship that is Italian in style and substance. 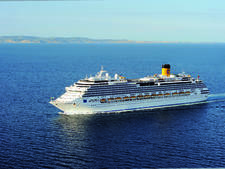 "Cruising Italian Style" in Europe is an experience in cultural diversity that shouldn't be missed. 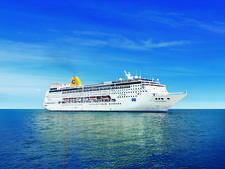 Not only is it great fun -- and occasionally challenging -- but it's also eye-opening in terms of societal differences. 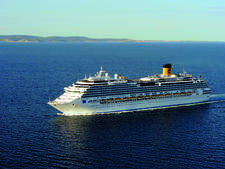 I learned that kids are kids (and behave the same way in any language), that Europeans love to dance and will find any opportunity to swing around a ballroom floor, and that Americans, Canadians and Brits were the only people who attempted to stand in line for anything until finally giving in to the chaos around them. 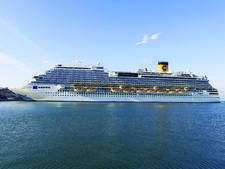 On the Europe itineraries, about 75 percent of the guests are Italian, with the rest being a mix of Spanish, German, French, Portuguese, British, Canadian and American, and a few from the Baltic regions. 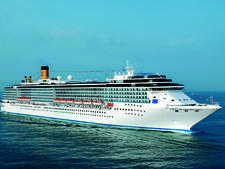 The ages range from very young families to very old seniors -- in other words, no one would feel uncomfortable onboard. 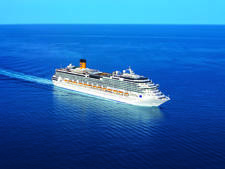 Announcements are in several languages, which is wearing after awhile, and the multicultural mix can be chaotic, but I think that if world leaders took this cruise and saw how everyone managed to communicate and get along, we'd all be better off.